Anna Morrison-Ricordati practices civil litigation, business law, and animal law in Chicago, Illinois. 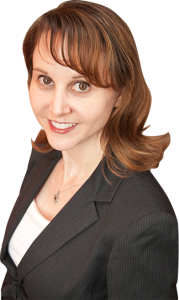 Handling all aspects of dispute resolution, Anna has represented individual and business clients in mediations, arbitrations, jury and bench trials, equitable remedies, and appeals. She is a past Chair of the Illinois State Bar Association’s Animal Law Section Council (2010-2011), Chair of the Chicago Bar Association’s Animal Law Committee (2012-2013), Chair of the DuPage County Bar Association’s Animal Law Section (2013-2014), past President of the North Suburban Bar Association (2014-2015), and has served as a CLE speaker on emerging legal topics for many organizations, including The Chicago Bar Association, Illinois State Bar Association and Louisiana State Bar Association. Anna has also guest lectured at The John Marshall Law School in animal law and civil practice courses.